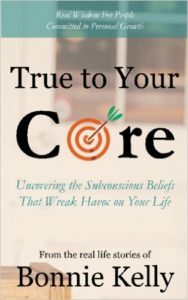 In her Best selling book True to Your Core, Bonnie Kelly shares some of her stories of her childhood, and the methods she uses to confront, manage and mitigate limiting beliefs and how to overcome and reprogram them as well. And unlike so many of the gurus out there, Bonnie has been through some real traumatic events from early childhood sexual abuse, to misadventures with the law, all of which that she talks about in her book. The book is a light read that’s heavy on substance and the weighty topics that impact our lives. The reason I feel this is relevant to the Heroik Crowd is that I hear all too often, and hate hearing and seeing people procrastinate and put off or take seriously the personal development work that can make them better in all areas of life, all because they think their story is unique and different or worse than most. Another reason I believe this is such an important topic is that I know, statistically speaking I know, that a lot of you out there have been through similar situations, horrible abuses of all kinds, secret wars raging within you, and you’re working hard to overcome the ghosts of your past and build a Great Life for yourself now. 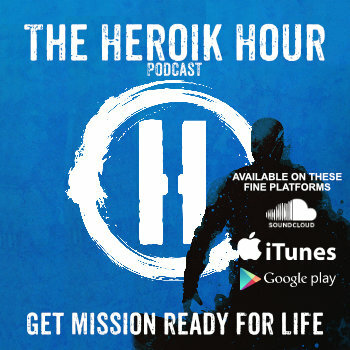 Welcome to the Heroik Hour, the podcast where we discuss and bring together Technology Leadership and Culture. I’m your host, Nicholas McGill, Chief Experience Officer for Heroik Media. Thank you so much for joining us on episode 12. In earlier episodes I’ve talked about the importance of making room in your life for growth. If you want to become a better leader, manager, and professional, or if you simply want to attract more opportunities in your life, you need to clear a workspace, physically, mentally and emotionally. The bottom line, in order to make room for the great life, you need to raise your BAAR. You need to raise your BAAR – your beliefs and attitudes lead to your actions and results. This means that you go on a journey to confront your limiting beliefs and get in the habit of addressing your personal baggage on a regular basis that is hindering your performance and holding you back from greatness. I speak often of the Heroik golden rule, cultivate that which serves you and hit the eject button on that which does not. The reality is that this requires raising your emotional intelligence in order to discern what is truly serving you. This requires you getting real, vulnerable, and authentic with your own personal history and journey thus far. So on this episode, I interview an expert, to talk about her book on the subject. So in this, my first ever interview episode, I’m going to chat with best-selling author of True To Your Core, speaker, emotional intelligence coach, and my lovely wife Bonnie Kelly.